Over the last decade or so, beginners and experienced investors alike have turned increasingly to Exchange Traded Funds or ETFs. The reason is simple, in the highly volatile markets across the planet in the wake of the global financial crisis (GFC), it’s both challenging to pick a winner in a single stock, and easy to miss investment opportunities as new ones crop up and go away equally quickly. ETFs generally offer a diversified, simpler and ultimately less risky path to investment, compared to investing in single stocks. Because ETFs are often constructed out of a portfolio of securities and typically aim to track a benchmark, the performance of your ETF investments are affected less by the performance of individual companies, and more by the performance of broader sectors or markets. It is both easier and more reliable to analyse trends across an entire market, and for that reason experienced investors are steadily increasing their investments into ETFs. But which ETFs are worth considering? And what’s the best way to leverage the opportunities they provide? There are a couple of things that experienced investors should consider when deciding on which – if any – ETFs to invest in. Getting exposure to international markets is a significant boon for an investor. The diversification that comes from investing offshore helps protects your portfolio against a circumstance where Australia’s sharemarket underperforms the global markets, while allowing investors to tap into the potential growth sectors across the world. It’s not necessarily easy or particularly efficient to make these investments directly via overseas shares. Such investing often requires setting up new brokerage accounts and may involve specific tax forms and other paperwork. The investor also needs to be aware of any foreign currency costs and the impacts of currency on their portfolio returns. For an experienced investor looking to really diversify their portfolio, ETFs provide very helpful exposure. ETFs are now offered over individual global markets such as Europe and Japan, and, can also provide access to individual global sectors such as global banks or global healthcare. Global Sector ETFs will track the overall performance of the relevant sector, so all you need to do is identify an overseas market sector that you want to invest in (or, broadly, an entire market), and purchase ETF units in that sector or market. Of course, purchasing ETFs in a particular market doesn’t preclude you from investing in other shares. In fact, ETFs can act as a style of hedge for the investor; you identify a stock that you’ve got a particularly bullish view on, and purchase shares directly in it, while also investing in ETFs in that sector. If your chosen stock outperforms, then you’ve got even greater returns than the returns delivered by that sector. If not, the ETF tracking the sector may mitigate the losses due to the diversification benefits that ETFs provide. If you’re like most investors buying direct shares, your portfolio will include some of the Australian “blue chip” shares – the four big banks, as well as other large cap stocks such as BHP Billiton (ASX: BHP), Rio Tinto (ASX: RIO), Telstra (ASX: TLS), Woodside (ASX: WPL), Santos (ASX: STO), Woolworths (ASX: WOW). These shares are commonly held because their performance tends to influence the entire market. Which is fine, until they have a downturn. Always the challenge with direct shares is what happens when they decline; you’ve got little protection – it’s one share, rising and falling. But owning some ETFs that track the broader Australian sharemarket (for example) provides you with some protection from this. 3. Gain exposure to bond markets – simply! Bonds– or fixed income – are another good way to diversify a portfolio, but unfortunately for individual investors, they are traditionally a difficult market for an individual investor to access. Enter ETFs. Moreover, there’s a lot of innovation happening in fixed-income ETFs at the moment. One example is our Australian Bank Floating Rate Bond ETF or QPON (ASX: QPON), which is an Australian bank senior floating-rate bond ETF offering a low volatility alternative to traditional fixed-rate bond options. With people’s appetite for risk generally being low at the moment, ETF providers are being encouraged to be innovative and develop ways to access lower risk, income-producing assets. It’s worth keeping a close eye on the ETF industry through the year as they provide investors with new ways to get exposure to bond markets. For investors that want to experiment or “dip their toe in” to a segment or market first, using ETFs is a good opportunity. ETF managers require no minimum investment (brokers through which investors transact through may require a low minimum), so rather than take the risk of a big investment upfront if it’s an area new to you, you can buy a small quantity of an ETF, monitor how it performs, and use that knowledge to inform future decisions and investments. It can be a good way to get a first exposure to a new market, asset class and so on. That way you get to enjoy the excitement in picking a stock and then watching its performance – and let’s face it, that’s a big reason that many people start to invest in the stock market – while at the same time managing the risk to the overall portfolio by tracking the market performance itself. Another useful strategy for utilising the strength of ETFs is to use them to manage your cash position. For example, you want to re-arrange a satellite part of your portfolio because it has performed well and you’re ready to sell, but you don’t want to be out of the market while deciding on what to purchase next. In this situation you can invest into an ETF for a short period of time to allow maximum market exposure until you’ve decided on the next satellite investment. This speaks to a strength of ETFs, being their liquidity – you’re normally able to sell them quickly and conveniently during the trading day when you need to free your cash up for other investments. ETFs are, generally speaking, quite a conservative option for investors that are looking to build wealth. They generally aim to track a particular sector or market, rather than individual stocks. That said, a primary risk of the ETF is the risk associated with the underlying investments. So it’s important for the investor to make sure they are comfortable with that. For example, an ETF providing exposure to the European stockmarket will still have poor performance if that market performs poorly. For investing overseas, currency fluctuations can have a negative impact on the value of your investment. For this reason, it’s worth checking on what hedging opportunities are available to you on that investment. In general, as with any investment, an investor should ensure they are familiar with and understand the nature of that investment. It’s advisable to consult a financial adviser and read the product disclosure statement (or PDS) before making an investment. Overall, ETFs offer experienced investors a wide range of different strategic opportunities and can be utilised to add depth and mitigate risk within a portfolio. This article was contributed by Ilan Israelstam of BetaShares Australia. For more insights from Ilan and BetaShares you can subscribe to their newsletter by clicking here. BetaShares Capital Limited (ABN 78 139 566 868, AFSL 341181) (“BetaShares”) is the issuer of the BetaShares Funds. This information is general only, is not personal financial advice, and is not a recommendation to buy units or adopt any particular strategy. It does not take into account any person’s financial objectives, situation or needs. Investments in BetaShares Funds are subject to investment risk and the value of units may go down as well as up. Any person wishing to invest should obtain a copy of the relevant PDS from www.betashares.com.au and obtain financial advice in light of their individual circumstances. Ilan was a founding team member of BetaShares and is responsible for corporate & product strategy as well as marketing activities in the business. Ilan is a Principal of Apex Capital Partners, a financial services focused investment firm. He is also a Director of Sellable Pty Ltd, a financial services firm which provides property owners with a unique way to sell their home. Previously, Ilan worked for The Boston Consulting Group (BCG), one of the leading global strategy consulting firms. Based in the Sydney and New York offices, his work at BCG focused on the private equity, funds management and broader financial services industries. Prior to joining BCG, Ilan worked in venture capital where he helped to found a technology-oriented venture capital firm. 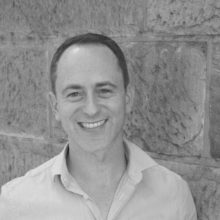 Ilan has a Bachelor of Commerce and LLB from the University of NSW.